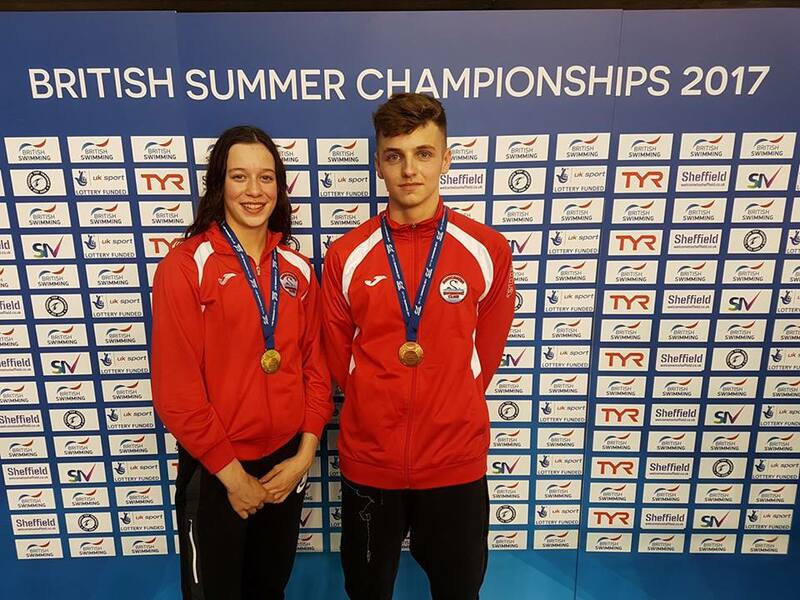 Huge congratulations to our two British national qualifiers, Elena Dewhurst and Tommy Donovan who won medals at national level for the first time at the British Summer Championships held at Ponds Forge, Sheffield. Tommy started the week off for Anaconda in the 100m breaststroke where he smashed his PB in the morning heats with 1:06.99 to qualify for the final which were held in the evening. The rest in between heats and finals obviously agreed with Tommy as he went on to better his PB in the final with a 1:06.80 to finish in 6th position. 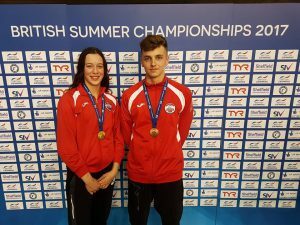 The following day saw Tommy take to the pool in the 50m breaststroke where again he produced a PB in the heats with 30.42 and in a stacked final he produced another fantastic performance to smash his time with 30.13 and win the Bronze medal. The third day of British Champs saw Elena make her entrance, racing in the 50m freestyle and she set a blistering new PB in the morning heats going under 27 seconds for the first time with 26.95 to qualify fastest. Elena dealt with the pressure of being fastest incredibly well and came back for the evening final and came out on top in an absolutely exhilarating race where with another PB time of 26.88, Elena won the Gold medal by 1/100th of a second to become the 13/14yr British Champion . Tommy finished the week off for Anaconda in the 200m breaststroke where his heat time of 2:30.26 saw him qualify for the final in 9th position. Tommy bettered his heat time in the final with 2:29.74 to finish in 7th place. 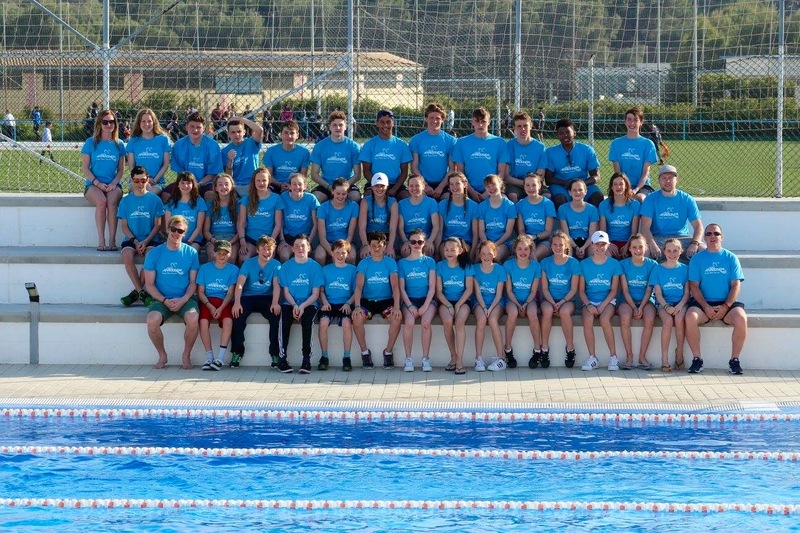 Anaconda had 2 swimmers take part in 4 events and qualified for four finals where the heat time was bettered in every final. 6 personal bests and 2 medals won, 1 gold and 1 bronze to cap an amazing week for the club.